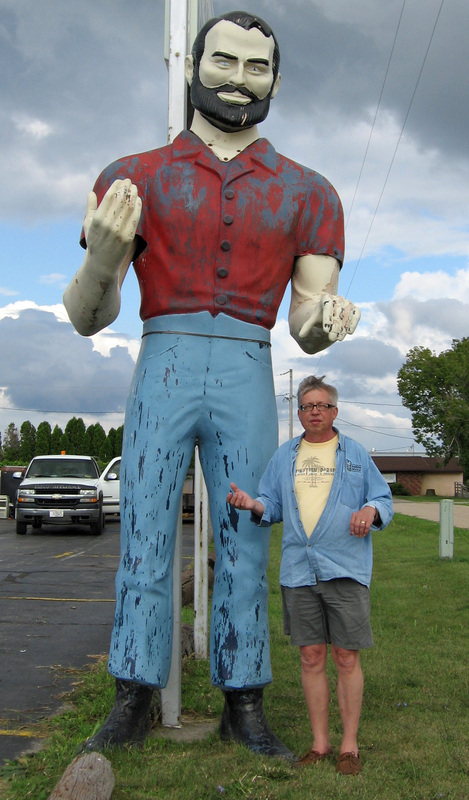 Oshkosh Muffler Man – The Home of My "Big Things"
On the road to the Oshkosh Correctional Institution we spotted this traditonal Muffler Man in front of Fasco Appliances. I don’t understand why he is there and the owner was not in when we stopped by. It was late, nearly 5pm. We were behind schedule after spending so much time at Mel Schellt’s and were getting anxious to move on to the Dells.